How much does Kia Rio repair and maintenance cost? The cost depends on your car, the type of service, and where you live. Here are estimates for a selection of Kia Rio services. Fast and easy Kia Rio services at your home or office. For more details, check out the Kia Rio scheduled maintenance page. Mark gets a 4, because my working life everyone expected a 10. A 2 or three would be a expected or sub par performance. He arrived earlier than expected, was very pleasant and professional. My overall problem was outside of repairs the company deals with. A follow-up to another specialist still did not resolve the problem. 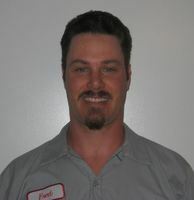 Finding your mechanic was sheer luck, and in the pleasant banter with Mark, I would not hesitate to call them again. All you have to know is how best to describe the problem. From his assessment, a second specialist, when the car gets towed to a dealer, I have knowledge to make a decision on their perception of the problem. Issue fixed, no, but there is no problem calling again. Doug told me I needed to get this done after he serviced my back brakes a few days prior. He was on time and finished the job in a timely manner. My car runs great and I would recommend him & would be glad to have him service my car at any time. Q: My 2009 Kia Rio needs new ignition/coils. There is a huge difference in internet pricing vs. buying locally. Any ideas why? Certain passenger vehicles fail to comply with the requirements of federal motor vehicle safety standard no. 208, "Occupant crash protection." When used with certain child seats, the automatic locking retractor (alr) function in the rear outboard seatbelt assemblies may disengage. Certain passenger vehicles fail to conform to the requirements of federal motor vehicle safety standard no. 225, 'Child restraint anchorage systems.' Certain child restraint anchors will not fully latch onto the lower latch anchors located between the rear seat back and rear seat cushion because of interference between the child seat anchors and a metal wire located in the frame of the rear seat back. Until the recall repair is completed, follow the instructions provided by your child seats manufacturer on how to properly install the child seat with your vehicle's rear safety belts rather than using the latch system. Certain passenger vehicles may have a manufacturing flaw that could cause the wheels to crack under long term driving fatigue. If cracks occur, wheel noise and vibration will result and become progressively worse over time.